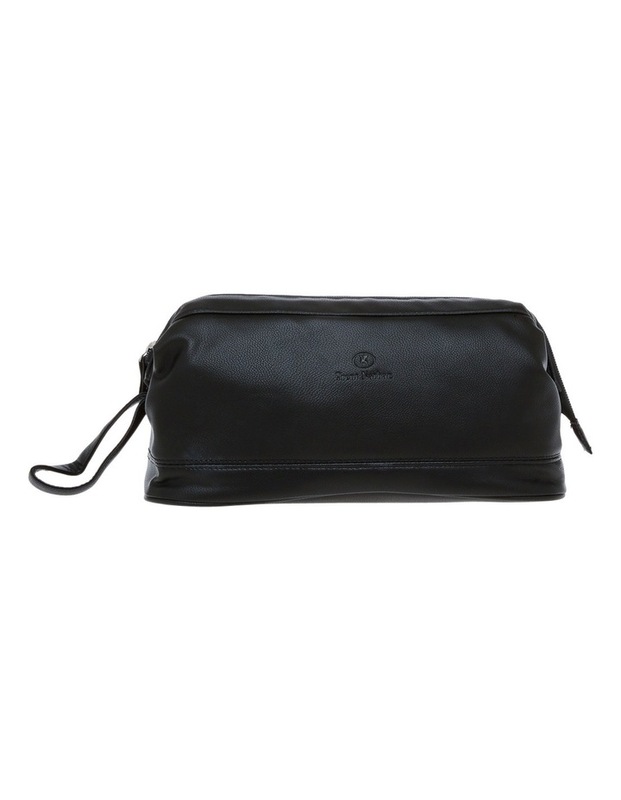 "This stunning soft PU leather wash bag has a luxurious hand feel. It has a wire frame opening that stays open for convenience. Its made of a water resistant material. 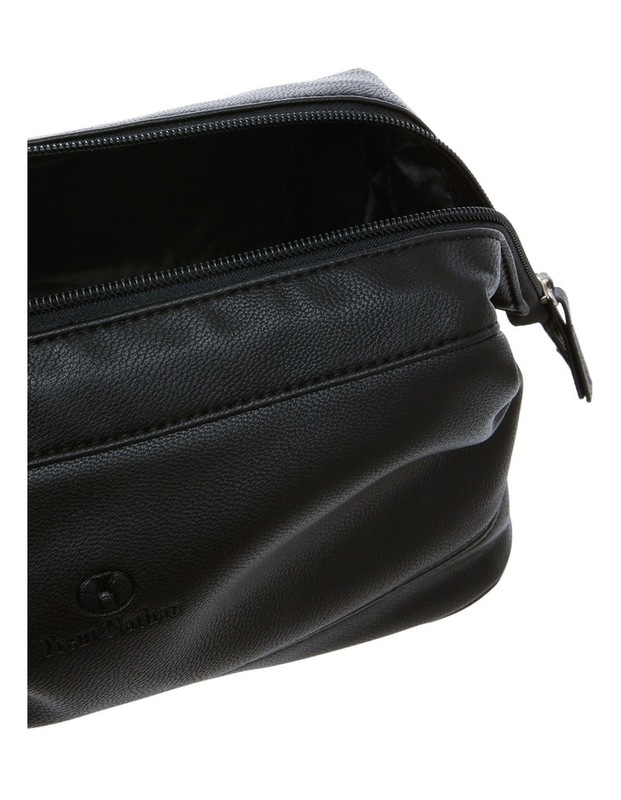 It has a internal sleeve pocket. 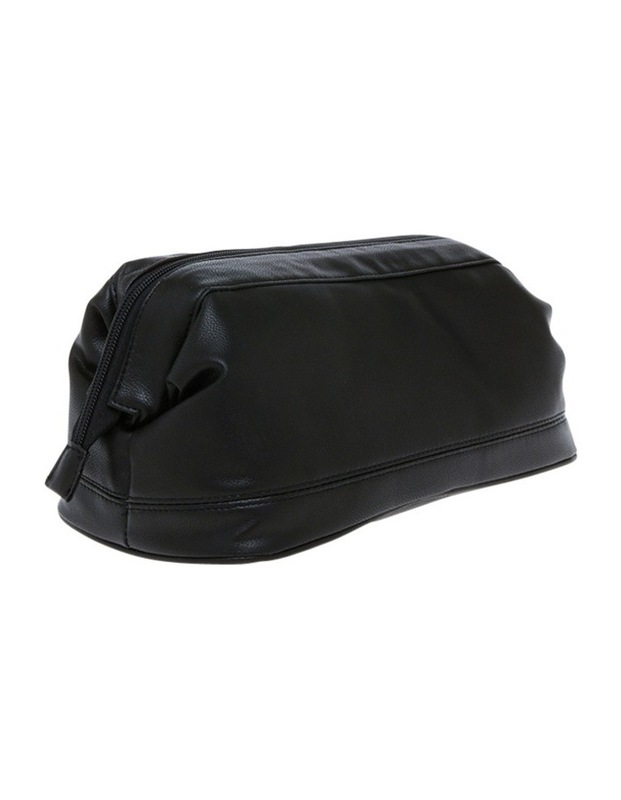 Fabrication: PU/ bonded leather / polyester Product code: TNWPS1926"